If you've ever wondered what it's like to be bizarrely attracted to the sound of someone saying that they just ate six ponies, you should probably watch Benedict Cumberbatch's audition for Smaug in The Hobbit: Desolation of Smaug. He actually auditioned as early as 2010 for the role, which was just before the insane droves of fangirls started a Cumberbatching revolution on Tumblr, and the video shows the very first concept for the eventual ginormous CGI dragon he was destined to become. And even though I probably don't have to tell you this if you've already seen the movie and/or ever watched Benedict Cumberbatch's face move, it's creepy as hell. And I love it. What's pretty amazing about this audition video is how completely uninhibited he is. The movie's producers actually didn't plan to incorporate his facial and body movements into the CGI at first, and even though the director told Cumberbatch to just speak the lines, he goes for it, body and soul. Something about his crazy dragon neck and "I'm going to eat you" voice rumble will captivate you. 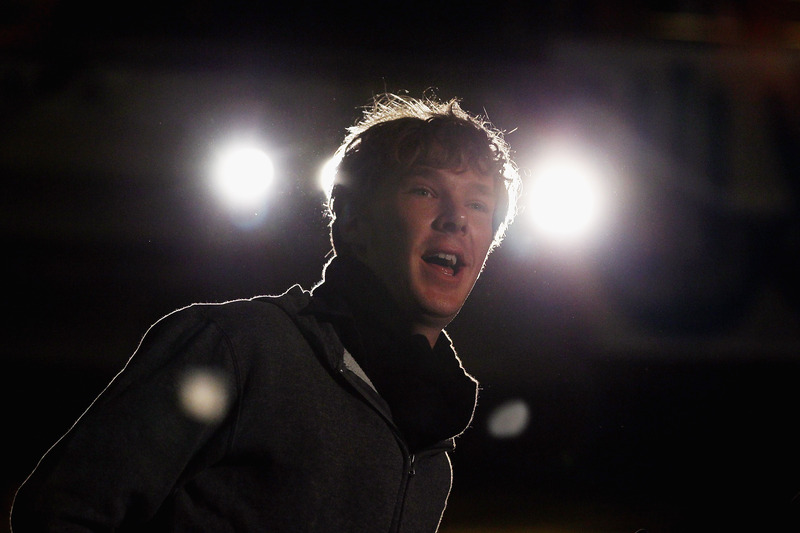 Cumberbatch mentions how the director went silent after watching it, and who can blame him? Nobody was expecting something that prolifically beast-like to come out of such a polite-looking man.